Lazy Seamstress: I've been tagged! penmon, originally uploaded by indiaeden. 2 silver pendants from My Aphrodite on Etsy, one for me and one for a friend. What are the three best places you visited? 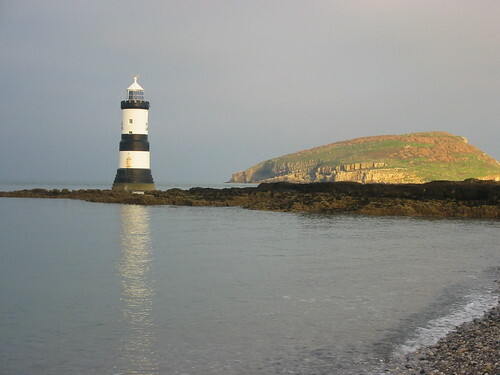 Penmon is a calm and beautiful place to visit. I always feel a sense of stillness when I'm there. Next is Sennen Cove in Cornwall. The first time we visited,it was October and the sun was starting to fade in the winter sky,( though many people were still in their cossies and surfing gear on the beach) we bought chips and sat in our car facing out to sea watching dophins swim as the sun went down while we ate our chips! It was magical. We've been back a couple of times since,and a little campsite up the road has become our fave place to stay. My third choice would have to be Amsterdam. I first visted Amsterdam as a student,and fell in love with the city immediately. We arrived after a looong coach journey to stay in our little hotel right in the heart of the city at around 10 in the evening. The best time to arrive.The streets were buzzing with life. Later I visited with Woody several times,we camped on a hippy site in the Northern part of the city. Then we lived just outside Amsterdam in Alsmeer while India was small,and I often would get the bus into the City and wander around the shops and backstreets with India. What are your three favourite movies? Creativity. I think life would be unbearable without it. Sunshine,it doesn't have to be hot and sunny,just sunny. I'd wish that Woody and I will always be happy together,right into our very old age. I can't say I've ever wanted to hang out with any celebrities,but I do think Stephen Fry would be lovely to have over for afternoon tea. I wouldn't mind going shopping with Gok Wan, (so long as he didn't ask me to go on national tv in my undies! ), and I'd love a night down the pub with Noel Fielding and Julian Barratt . What are your three favourite dishes? A cellar conversion so I could have a mini fabric printing studio. A garden free from slugs! Eeek, now I have to pass this along,so here goes,in no particular order Creative Mother, Musings of a mother of three, and Sewing as Therapy. Stephen Fry - why didn't I think of him! Beautiful photo - I love lighthouses, they're magical.